Donald Trump accused Mexico of doing “very little” to stop the flow of people across the border to the United States, and threatened in retaliation the North American Free Trade Agreement (NAFTA) ), currently in renegotiation. His comments on Easter Sunday on Twitter came in apparent response to the movement of hundreds of Central Americans throughout Mexico in a caravan called “Viacrucis Migrante 2018” that left a few days ago for the border with the United States. 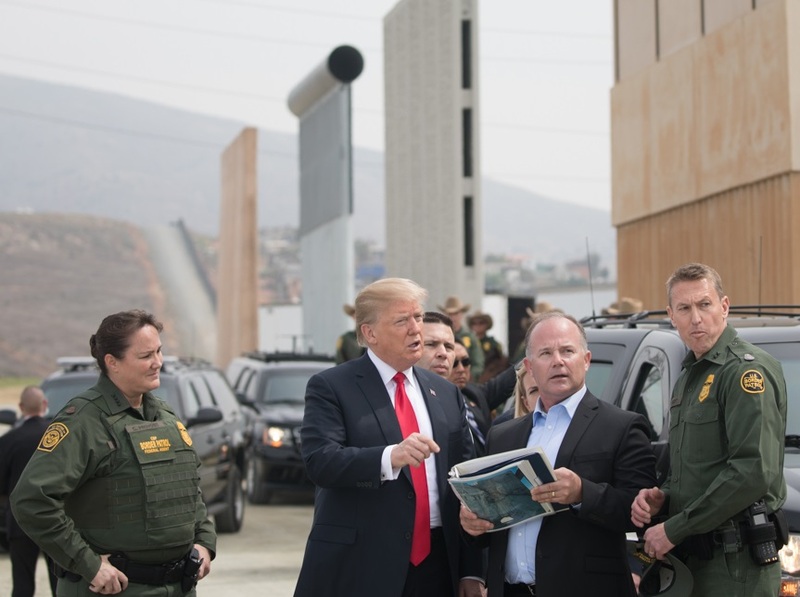 “Mexico is doing very little, if not ANYTHING, to prevent people from reaching Mexico through its Southern Border, and then to the United States. They laugh at our silly immigration laws, “the president said. “Fox and Friends,” one of Trump’s favorite television shows, had featured the caravan on Twitter on Sunday, possibly trying to drawn the president’s attention. The movement was organized by a called group Pueblo sin Frontera with the slogan “We are all Native Americans”. Migrants women, men and children from Guatemala, El Salvador and Honduras began their “Viacrucis Migrante 2018” on March 26th with the objective of exposing the ordeal suffered by travelers on their way through Mexico in the past. It is estimated that more than 500,000 people cross Mexican territory each year with the intention of reaching the United States, according to United Nations data. Migrants are victims of traffickers, abuses of authorities and targets of organized crime. “These large flows of people are trying to take advantage of the DACA. They want it with action! “Said Trump, referring to the regulations called Deferred Action for Childhood Arrivals (DACA). Trump repealed the Obama-era DACA program, which protects immigrants who arrived in the country without documents when they were children, however this is currently the subject of a dispute in the US courts. Their attempts to reach a compromise with the Democrats over the DACA in exchange for funds for a border wall with Mexico have so far failed. “Border Patrol agents can not do their job properly on the border because of ridiculous liberal (democrat) laws like the Catch & Release ” he said. Since taking office, President Donald Trump has repeatedly tried to link immigration with crime, but immigrant advocates say many are fleeing poverty and violence. Trump said to reporters when he entered the church in Palm Beach, Florida, with his wife Melania for an Easter service. His administration is renegotiating the terms of NAFTA, the trade agreement signed in 1994 with Canada and Mexico and which Trump had previously threatened to abandon unless the United States receives more favorable treatment. The next round of formal NAFTA talks is scheduled for April in Washington. Trump has thrown good and bad omens on the prospects of a new agreement. Last month, it temporarily exempted Mexico and Canada from new and abrupt US tariffs on imported steel and aluminum. “I have the feeling that we are going to reach an agreement on NAFTA,” he said on March 8th.